12:05:00 AM I read your posts today and headed out to look for one today, and after about a half hour i found one! Took about 5 attempts and a couple of voritours incapping me but i did it! thnx for the tips guys. 3:26:00 PM Oh by the way, last time I checked, FG lairs are everywhere up and down the west side of Dantooine. Most of them near the Imp Outpost. The pattern I found out was the lairs would spawn either after midnight PST or very early in the morning like around 6am-12pm PST. I used to kill at least 7 lairs around this time. But that was a while ago. Devs might've switched up the spawning. 3:19:00 PM Well, after years(!) of searching without any results, i finally sold out and just bought one. I'm against buying pets, but knowing if this one has babies or not is frustrating. I ran into my bro's old friend who he sold his FG to waay back in the beginning. She still had it just the way it was sold, perfect condition and even the same name. So, I bought it back. She was giving it to me for free, but I tipped her anyways. 5:53:00 PM Ness, You might be refering to the Static spawn that was confirmed a couple months back on Dathomir. It was a single adult FG that spawned every 2 hours. 10:39:00 AM Last sighting of an adult was about 1200-1600M NW of Imp outpost. It was IN Aitopia on Bloodfin. It was 310M from my house. I should have taken a screenshot of me fighting it outside of our Megamall. 12:26:00 AM STILL HAVE BABIES and by the book these are the RAREST tamable creatures to find... rarer then boss creatures the spawn rate of these bad boys is listed as (0.01%) in the book. I will update the raresty of the rares we know of and then when im bored ill update the boss creatures rarety levels :) im so happy!! 6:57:00 PM As far as 'babies' go, have not seen any. Adultwise, I did see a static spawn that lasted a little while on Bloodfin. It was a set of two or three adults that lasted for about three spawns. I thought it was great for Ch xp. I used a DX2 on them. The spawn was about 1.2m West of the Imp outpost. Doubt they are still there. 2:48:00 PM This animal should have a rarity rating and it should be just about 9.9 or 10. According to Thunderheart himself they still spawn babies and are still listed as tameable...even though nobody can verify a sighting in over a year. 9:38:00 AM I am on Radiant server and I am selling my Frenzied Graul. If you are interested contact me. My ingame name is BEBE. Please, serious buyers only. 10:43:00 PM yah they do rock especially with their 65% kinetic resists. only improvements i can see are their specials and some more ham. 2:35:00 AM I am selling My Frenzied Graul on Ahazi. Email me, Sato, in the game with offers and I will make him availible for showing. I will consider a trade, only one, A GPS, otherwise, serious offers only. He rocks. I read above that a guy on another server paid 1.6 mill, thats a good start, but this things impossible to get, so we'll see. 10:29:00 AM At least use a picture of a real frenzied graul - they arent green at all - that looks more like an ancient while frenzied grauls are brownish. Ive done many solo spawns and one-at-time-spawn lairs. (because I NEVER see a lair with more then one outside and the lair is only about 22 - 24k condition at max) The search still continues, still looking for this and the bull rancor. 6:39:00 AM STOP SCREWING WITH THE TAMABLE MOD. until one of you learns what the hell print screen is for, and puts the issue to rest once and for all, the has babies listing will remain at unknown, and i will set it back to unknown on any occaision that it has been changed. 12:54:00 PM Has anyone seen these on Starsider? I've been looking even for nests for weeks now and haven't seen any. 10:11:00 PM I will confirm a baby sightning. -4753 -3081. Spawned out of a lair after 4 adults. After a couple of attempts at taming it aggro'd a pet and was killed. They do exist and are tamable. 11:27:00 AM Hazarstanagge, if you travel anywhere between the Imperial Outpost and the Abandoned Rebel Base and to the West, you'll find Graul Spawns of all kinds, Regular, Mauler and Frenzied. I have noticed over the past few weeks a signiificant increase in Graul Spawns over there, but it may be a random phenomenon. I'm not sure. After nearly 6months since they supposedly became tamable again, there still hasn't been on Baby confirmation. Keep looking, though. I am. 3:56:00 AM Something that I noticed.... Just spent the last 2 days hunting these things, Day was was good 5-6 lairs and at least 3 random spawns, No babies tho. What i found odd was that today in the same areas that spawned frezied Grauls yesterday, spawned Ancient and regular Grauls today. PLENTY of graul babies (too bad they are pretty worthless). Is there a esclating progression of spawns at work here? Any thoughts? 4:40:00 PM That's Good News! Great to hear it, Jansolian. 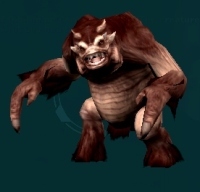 By the way, you wouldn't by any chance have a screenie of your recently tamed Frenzied Graul Baby upon the time it was tamed, perhaps standing next to a vehicle or a mounted Cu pa or mounted Bantha? 9:43:00 PM As far as I can tell there are not Frenzied Graul mission lairs and they do not spawn from other graul lairs. What you will find is "A Pile of Rocks" with a Frenzied or two hanging around with it. As for Open Wounds, it is an area effect bleed attack that causes anyone within range to begin bleeding. 6:35:00 AM Are there missions for 'Frenzied Grauls', or are they random lairs, do they spawn from other Graul lairs? 8:43:00 PM My Frenzied Graul Mauler is for Sale on Ahazi. I'll trade em for a Great Plains Stalker or you can buy him. Either way he's an awsome pet with nice stats. Pst Sato on Ahazi if you want to see him! 1:51:00 AM Over the last couple weeks, I've gathered over 15k of Carnivore Meat, 12k of Bone, and 20k of Leathery Hide from just Frenzied Grauls. No BABIES! I've heard some forum posts of certain lair bosses being labeled as tamable. I'm beginning to think the Frenzied Graul, like those lair bosses are mislabeled glitches since publish 5 that have simply not been fixed. Granted Bull Rancor Babies are extremely rare, but it didn't take 5 months before someone found one of those. I still have hopes that the FG's do spawn babies, but at this point, it seems highly unlikely. I do hope someone proves me wrong. 11:34:00 PM Just found a lair...spawned 7 adults...no babies. They still examine as being tamable. I wasnt able to get the lair to reset, and once destroyed Ancient grauls started spawning in the same spot...spent 2 hours killing every graul in sight...no return of the frenzied. 7:32:00 PM The thing, YourWay, is that a real FG can be mimicked to some extent. In short, if it doesn't say "A Baby Frenzied Graul" above its head........ be very skeptical. 10:08:00 AM I changed the Babies part to Unknown since they list as being tamable, yet after all this time, no babies have still been seen. 12:21:00 PM I tried 2 days to find them, found only 1 lair, all spawn was adult frenzied, no baby, no problem to kill them with a rancor on your side, they only come out one by one if you are careful...but then no lair for the rest of the weekend...really hard to find! 9:41:00 PM Finally found a spawn point on Gorath server. They ID as tamable...and pack a helluva punch. 7:30:00 AM I've seen no confirmation on Starsider, Gwebacca, but I did read in the SWG forums somewhere that one had been found on another server. 9:25:00 PM As of Publish 7 has anyone confirmed a baby for the Frenzied yet? 3:22:00 PM Husarz wrote: Is this possible to take frenzied graul missions? I haven't tried that yet, although prior to the patch I was never able to get one, although it was very easy to get Graul Mauler missions (I group with a level 65 Kimo for missions and with other players at times and Frenzies have never popped up) Up to now. Will give it another try. 2:48:00 AM Is this possible to take frenzied graul missions? 8:33:00 PM Have been searching for days (Starsider) for babies on Dantooine. Killed dozens of singles and small groups and a couple dozen lairs. No babies so far. 3:18:00 PM they are tamable according to new patch's "undocumented" feature. 2:54:00 AM Can anyone confirm that they are now tamable again? 4:36:00 PM There are a few people that have them in the Gorath server including my brother who gave it up to a friend. I ran into and killed one today, but no spawns afterwards. As Kenelm asked, can anyone confirm a baby sighting after the patch? 9:48:00 AM Ive seen these tamed and the people are saying they are spawning now although very rare. Has anyone here seen a baby since patch?